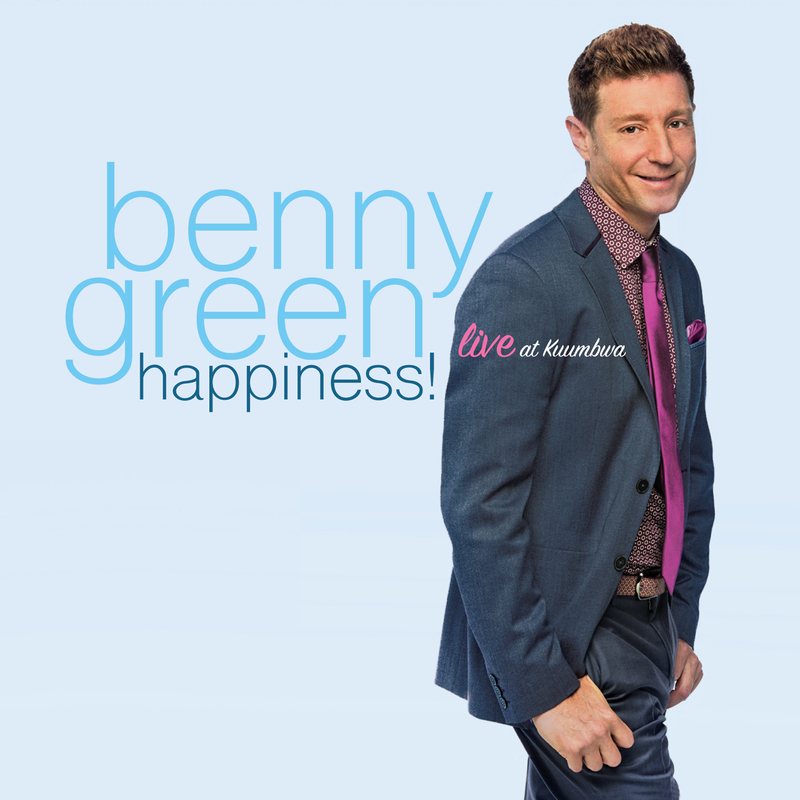 When modern piano master Benny Green took the the bandstand at Kuumbwa Jazz Workshop in Santa Cruz, California, last June 13th with bassist David Wong and drummer Rodney Green, he had no idea an album would ensue. But when the set was done, Green, who had followed his customary practice of recording the engagement on his Sony PCM-M10 recorder, thought he had something special. “I felt really connected with the audience, and when I listened back, it sounded as good as I remembered it feeling,” Green states, explaining why he decided to release Happiness! (Sunnyside). It’s his second consecutive location date from the hallowed northern California club, following the efflorescent 2015 album Live In Santa Cruz (Sunnyside). The 52-year-old maestro fulfills that self-imposed mandate: Happiness! is a summational album that is as strong as any item in a distinguished leader discography that dates to 1988, six years after Green moved to New York from Berkeley, California, his home town, 80 miles north of Santa Cruz. In contrast to Live In Santa Cruz and its 2013 in-studio predecessor, Magic Beans (Sunnyside), which both feature his original music, Green interprets repertoire by a cohort of composers—Cedar Walton, Freddie Hubbard, Horace Silver, Thad Jones, Duke Pearson and Wes Montgomery—that evokes the sound and feeling of the 1950s and 1960s Blue Note recordings on which Green cut his teeth as a Berkeley teenager. 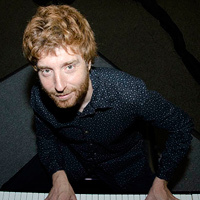 In continuity with those albums and the 2010 trio date, The Source (JLP), Green channels the inflamed, go-for-broke spirit of bebop, deploying the impeccable, efflorescent technique that has garnered him international acclaim since his mid twenties, without ever showing off or sacrificing the unrelenting swing, pianistic sophistication and abiding blues feeling that is his signature. 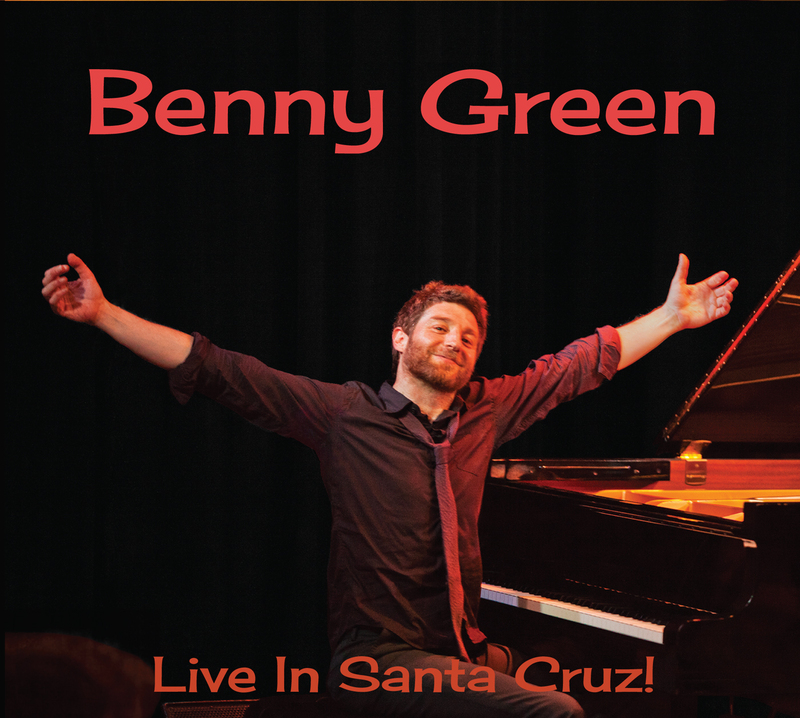 Green is referring to his 1987-1989 tenure playing piano with Art Blakey and the Jazz Messengers—which he joined after a 1983-1987 stint with the iconic jazz vocalist Betty Carter—and to a 1992-1997 run with the Ray Brown Trio. After leaving Blakey’s employ, he joined the Freddie Hubbard Quintet, in which, between 1989 and 1993, his bandmates were tenor saxophonist Javon Jackson, bassist Christian McBride and drummer Carl Allen. In 1990, he signed with Blue Note, his label on seven recordings during the ensuing decade Three featured his breathe-as-one working trio with McBride and Allen (Greens , Testifyin\' , and That\'s Right! ); another (The Place To Be ) showcased McBride and drummer Kenny Washington. On these dates, Green established his ability to tell his stories within a capacious stylistic template, to render them with creative spirit and exemplary consistency. He melded into his own conception vocabulary drawn from warp-speed Bud Powell-influenced bebop and the vertiginous double-octave concept of Phineas Newborn; in-the-pocket, blues-drenched Soul Jazz and oh-so-slow, heart-on-the-sleeve balladry in the manner of Gene Harris; American Songbook interpretations that struck a just balance between esoteric intellect and communicative sensibility; the expansive harmonic ideas of Freddie Hubbard and McCoy Tyner. He brought similar attributes to Brown’s trio, as documented on a series of CDs for Telarc Jazz: Bass Face (1993), Don\'t Get Sassy (1994), Some of my Best Friends Are…The Piano Players (1994), Seven Steps to Heaven (1995), Super Bass (1996) and Live at Sculler\'s (1996). Piano icon Oscar Peterson took notice, and signified his approval by selecting Green to receive the City of Toronto\'s Glenn Gould International Protégé Prize in Music 1993. Five years later, Peterson bestowed upon Green the rare honor of an invitation to join him on the classic two-piano date Oscar & Benny, on which Brown also performed. Green’s final Blue Note date, These Are Soulful Days (1999), featured a drummerless trio with McBride and guitarist Russell Malone that piggybacked stylistically on the classic Peterson-Brown-Herb Ellis recordings of the 1950s. After recording Naturally with that trio for Telarc in 2000, Green recorded three more Telarc CDs: a 2001 solo piano recital titled Green\'s Blues, and two duo dates with Malone (with whom he toured extensively from 2002 to 2006), titled Jazz at the Bistro (2003) and Bluebird (2004). When the Green-Malone duo had run its course, Green moved back to the West Coast, where he recalibrated, looking for the next step. He recalls: “I got calls to lead trio shows, but I was basically throwing groups together, jamming, playing standards. It wasn’t wholly satisfying. I wasn’t really sinking my teeth into the situation.” The next step arrived in 2009, when, after joining guitarist Satoshi Inoue for a tour in Japan with Kenny Washington and Green’s former Messengers bandmate Peter Washington on bass, the leader asked the rhythm section to play some numbers. “At our first rehearsal, it felt so great playing with them that I wanted to have a trio again,” Green says. He began to refocus on composition. “I remember Art Blakey telling me, ‘It’s important to write because your music will be here after you’re gone,’” he says. Indeed, each of the 19 Green originals that appear on Magic Beans and Live in Santa Cruz! has the feel of a tune you don’t remember from a recording by such bebop piano icons as Bud Powell, Tadd Dameron, Walter Bishop, Jr., Walter Davis, Jr., Elmo Hope or Sonny Clark. 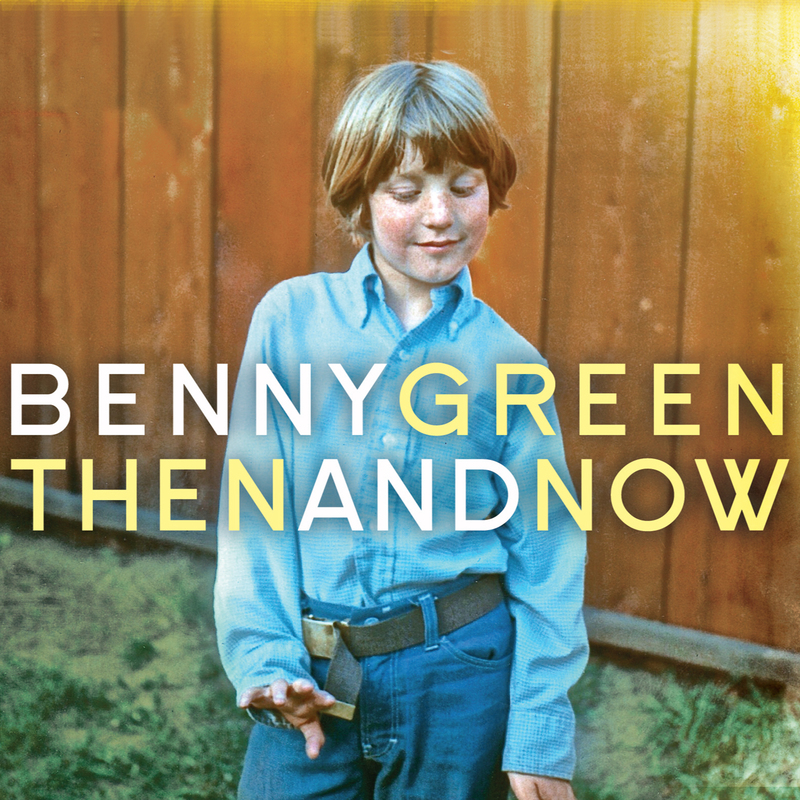 The music is alive and fresh, as though Green and company were living in the era of his heroes, transplanted into the here-and-now. That Green knows whereof he speaks is evident not only from his own meteoric career trajectory after moving to New York in the spring of 1982, but in his choice to study privately with Bishop (referenced on the “Airegin”-like “Bish Bash’ from Live In Santa Cruz) and Davis (to whom Green paid tribute on “Humphrey”—Davis’ sobriquet—from Testifyin’!). A few months before he joined Carter in April 1983, Green sat in with the Jazz Messengers at Manhattan’s Blue Note. He had memorized the band’s book, impressing Blakey, who told him, “Keep doing what you’re doing; I’m gonna need you one day.” That moment arrived in 1987. Carter bestowed her blessing. On the three aforementioned trio recordings that Green made with McBride and Allen, the pianist augmented his toolkit, incorporating the parallel octave concept of Memphis-born piano virtuoso Phineas Newborn, and the soulful piano concept of Gene Harris. “Betty Carter told me that the way Gene Harris touched the piano in the Three Sounds was perfection,” Green says, explaining the source of his “obsession” with the Ray Brown Trio with Gene Harris after forming his trio with McBride and Allen. Green’s then-manager, a friend of Brown, persuaded the iconic bassist to hear Green and McBride play a late night duo set at the Knickerbocker, a Greenwich Village piano saloon. Afterward, Brown told the youngbloods, “Hearing you two reminds me of me and Oscar [Peterson] when we were your age.” Not long thereafter in Europe, Brown heard Green play a set with a “young lions” group called The Jazz Futures, and asked him to participate in a record date with Jeff Hamilton and Australian multi-instrumentalist James Morrison. At the date, Brown asked Green to sub for Harris for the first ten days of an imminent tour of Australia. Green regards his tenure with Brown as “finishing school.” He continues: “Ray was addressing sophistication of sound—the actual sound I get from the piano—in a way that no one had talked to me about. I thought I’d get a Ph.D on swinging from this man, but it didn’t occur to me how much importance he placed on tone production, and that carried over.